Makers of the Pantera, De Tomaso played a more important role in the Italian automotive industry than many people realize. Today we mostly remember De Tomaso as the company that built the Pantera and then sunk back into obscurity. There is a certain amount of truth to this, but even though the Pantera was the definite peak of the company’s history, there is quite a bit more to it than that. The history of De Tomaso is tied to a number of other Italian brands, and the influence of both De Tomaso the company and De Tomaso the man stretch beyond just those cars to wear the badge. Though De Tomaso was very much an Italian company, both in spirit and in the sense of being headquartered in Modena, its founder in fact hailed from Argentina. Alejandro de Tomaso came from one of the more prominent farming families in Argentina, but himself had no interest in the family business. So in 1955, perhaps inspired by the huge success of his countryman, Juan Manuel Fangio, he moved to Italy to pursue a career racing cars. He would make it into Formula 1 by the 1957, but having still not scored a single championship point by the end of the 1959 season, he quit to form his own car company. Some years later, Horacio Pagani would follow in (at least some of) his footsteps, moving from Argentina to Modena to found his own boutique car company. The first De Tomaso car was the Vallelunga, which debuted as a concept in 1964. The small and very light (1,600-lb) sportscar had a 1.5-liter four-cylinder engine out of a Ford Cortina and bodywork by Ghia. De Tomaso had initially hoped to simply sell the design, most likely to Ford, and then move on, but when this didn’t happen, the car got a very limited production run on its own. The design was flawed, and De Tomaso would abandon it after building only 56 examples. Once de Tomaso had accepted the idea that his company would be building its own cars, he set about making more serious machines. In 1967, he debuted the Mangusta, a mid-engine sports car with a Ford V8. The first units built, those for the European market, came with a Ford 289 Hi-Po engine, which unsubstantiated rumors place as having been sold to De Tomaso by Carroll Shelby. But the bulk of the cars went to the US, and these units used the Ford 302 engine instead, with one exception. GM’s then president Bill Mitchell was a fan of the car, but wouldn’t buy a vehicle using a Ford engine. So one was specially built just for Mitchell, using a GM-sourced V8 in place of the Ford mill. The Mangusta was a success, allowing De Tomaso to acquire Ghia in 1967. But the high manufacturing cost of the car meant that De Tomaso wasn’t moving very many units. So in 1970, a new concept with a cheaper monocoque design would debut for the 1971 model year. This was the Pantera, the most successful De Tomaso-badged car by far. This used a Ford 351 Cleveland V8 engine, which allowed it to hit 60 mph in 5.5 seconds - quite a good number for 1971. Even Elvis bought a Pantera, although he did also once famously shoot it when it wouldn’t start. That same year, De Tomaso debuted the Deauville luxury sedan. This borrowed a number of elements from the Pantera, including the engine, although it was never anywhere near as successful. A coupe version of the car, known as the Longchamp, debuted in 1972 and was somewhat more successful than its four-door stable mate. But in general, De Tomaso was a very successful company at this time, and in 1973, it acquired motorcycle manufacturer Moto Guzzi. In 1975, De Tomaso bought the Innocenti brand of automobiles and the following year, Maserati. 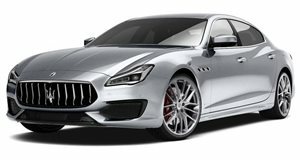 These companies would create a few hits under De Tomaso control, such as the Maserati Quattroporte III and the Innocenti version of the Mini. But Maserati would also build the Biturbo and the Chrysler TC under De Tomasso, so mistakes were made. With sales slumping, De Tomaso would finally kill off the Pantera in 1991. It would then get rid of the remaining companies under its control by 1993, raising money to develop the new Guara sports car. This new car never really amounted to anything, with only about 50 units being built. And following the death of Alejandro de Tomaso in 2003, the company went into liquidation in 2004. This is essentially the end of the De Tomaso story, as the 2009-20012 attempted revival of the brand never produced anything of substance and ended with the new owner being arrested on embezzlement charges. De Tomaso cars are nonetheless classics, and the company’s only real crime was stagnation while other supercars continued to evolve.